Home / Charisse / David Foster / Music / Sarah Geronimo / David Foster okays Charice and Sarah Geronimo's Collaboration Project! 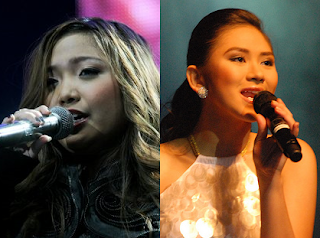 David Foster okays Charice and Sarah Geronimo's Collaboration Project! Two great young Filipina divas will do a back-to-back concert! This is one of the exciting news that just recently making waves. International singing sensation Charice is said to be collaborating with ASAP mainstay and Pop Princess Sarah Geronimo. David Foster, Charice's manager, agreed to make a collaboration project with her talent and Sarah. Though not yet official, the project could be a concert or a new single. This is one great news! This could be Sarah Geronimo's time to penetrate the international market!